One weekend, only four eggs for two breakfasts for two, i.e. only one egg for each! Tragedy! Especially when being on our summer home and are urging for two substantial breakfasts. To avoid disaster I had to improvise. What did I have? A tin of Terrine Bretonne and crayfish tails in brine. These ended up with two very good sandwiches. When being in Lyon, I had a last day grocery shopping at my nearest Monoprix. 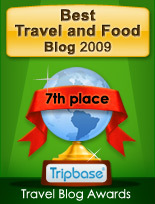 This meant coming home with a selection of inexpensive and expensive ingredients. 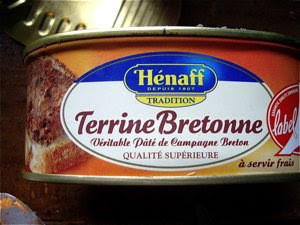 Of the less expensive foods was a tin of Terrine Bretonne, paté from Brittany produced by Henaff. A large oval shaped tin. I had already opened up a small tin of paté de foie de porc" at Monoprix, produced by Lou Gascoun in Saint-Médard-d'Eyrans in Gironde, close to Bordeaux. 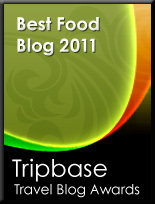 It was very fat and when served at a tapas arrangement for my staff earlier this year was left untouched by my guests. When opening up the tin, I was relieved. 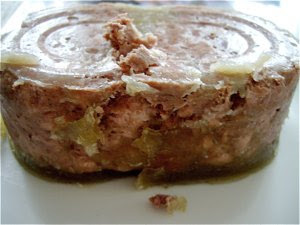 Not the hard, dry paté with large pieces of yellow fat, as in the small tin, rather moist jelly and large chunks of meat. 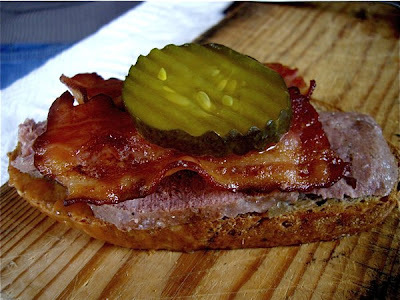 This was as good as home made open Danish liverpaté sandwich and luckily one breakfast was saved. I have told the story of my ruccola-pesto, made rom ruccola growing in my garden. Intensely aromatic as the leaves are growing under the hot and intense Norwegian sun. You find crayfish tails in brine in most Norwegian grocery shops. They are, of course, of not the same quality and taste as the freshly caught crayfish, but decent when served in different styled salads. 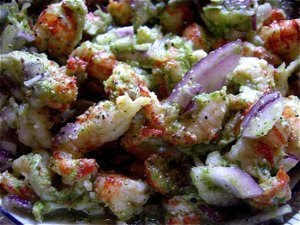 Earlier I have mad a mayonnaise based salad, but in order to create a new twist, I decided to combine pesto and crayfish. 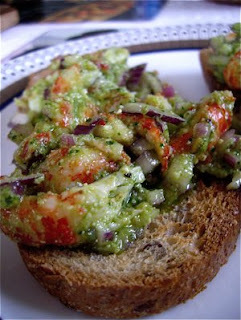 I chopped 1/2 a red onion finely, and mixed the crayfish with 2-3 tbsp of pesto. I should have had some lime juice as well, but I found out it worked well even without lime. I placed the bowl in the refrigerator for a few hours, in order for the ingredients to infuse. Serve a generous portion of the salad on a slice of rye bread, and if you would like the genuine Scandinavian feel to it, serve a glass of beer and a shot of akevitt or Gammel Dansk Bitter Dram. Wonderful rich spicy aromas, crunchy fresh red onions and delicious salt crayfish. A different experience.